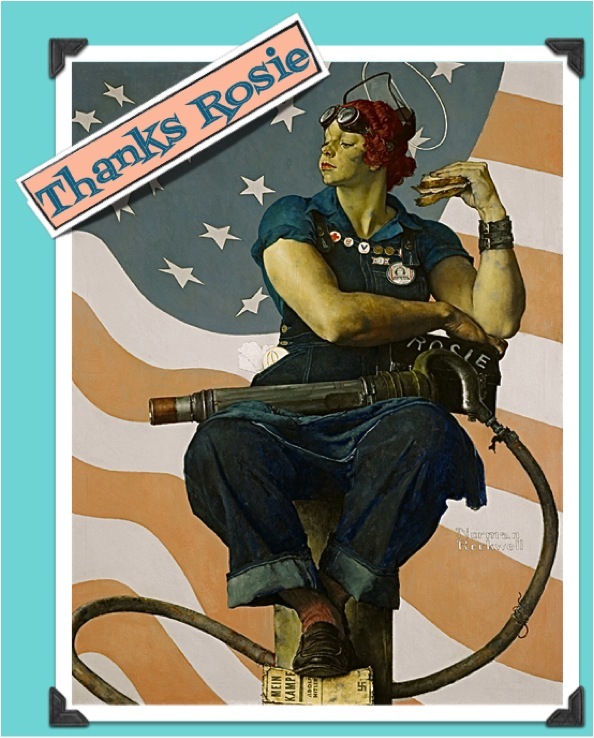 Saturday Evening Post cover artist, Norman Rockwell, is generally credited with creating one of the popular “Rosie the Riveter” images used to encourage women to become wartime workers. Rockwell’s “Rosie appeared on the cover of the May 29th,1943 edition of The Saturday Evening Post. World War 2 was truly an effort taken on by both men and women. Women took up for the men when they left their jobs to go fight against the axis of evil (Germany, Japan and Italy). Women who had no real experience with heavy machinery or artillery and aircraft production jumped into the trenches to help ensure we would not only win the war but help ensure the return of their husbands, brothers & fathers. They understood the attention to detail of each job and what it meant to do things right. There is no doubt that with out the contributions of these fine women we would not be privileged to the freedoms we have today. 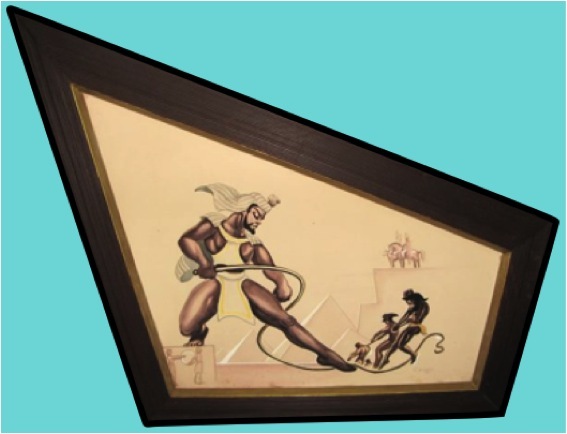 In 1942, Pittsburgh artist J. Howard Miller was hired by the Westinghouse Company’s War Production Coordinating Committee to create a series of posters for the war effort. 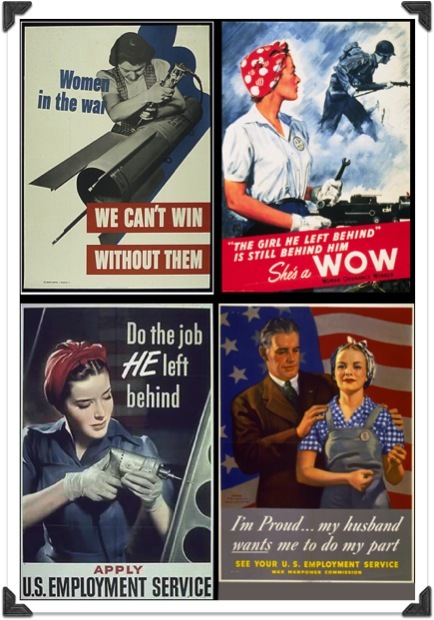 One of these posters became the famous “We Can Do It!” image — an image that in later years would also become “Rosie the Riveter,” though not intended at its creation. 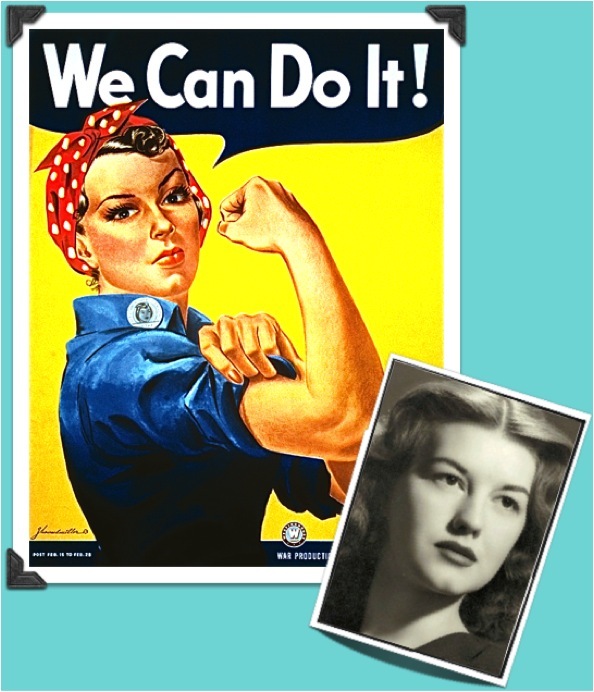 Miller based his “We Can Do It!” poster on a United Press photograph taken of Michigan factory worker Geraldine Doyle. Its intent was to help recruit women to join the work force. 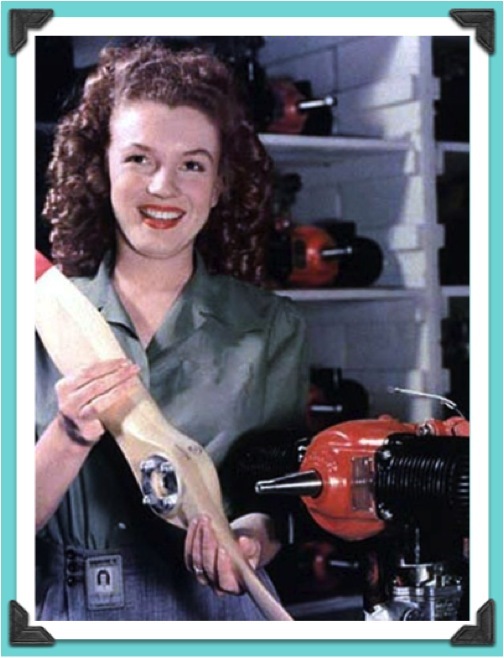 Here is a great clip with the song “Rosie the Riveter”. Marilyn Monroe, before she became a Hollywood star, appeared on the cover of ‘Yank’ magazine while working in a Burbank airplane factory, August 1945. These women were the reason why we were able to keep the war machine going. It amazes me how everyone back then helped do their part to ensure our victory. Some people had scrap metal drives & rationing while others devoted their time to factory work. This is what made the men and women of this period the greatest generation. 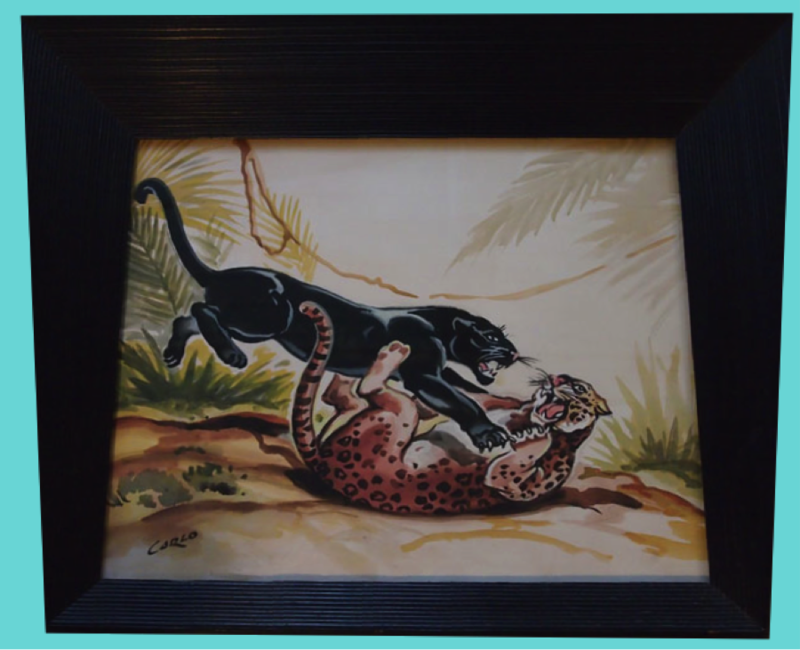 Thank you for doing this post Hepcat. It’s a lovely and necessary reminder of things sometimes forgotten. Methinks you’ve had a great time talking to your grama these weeks! Is that her adorable self in the black & white picture above? My mom’s job during the war was driving a staff car between McClellan AFB here in Sac to the Precidio in SF. She loved it (she got to drive all the generals & “mucky-mucks”) but it was long and tiring days sometimes. She told me that aside from the horrors & heartbreak, & lack of food & materials (she missed her nylon stockings ;- ) of the war, that it was the best time of her life. Her job was meaningful to her and she felt like she was actually contributing to a cause dearer & more meaningful than anything else they’d ever done. 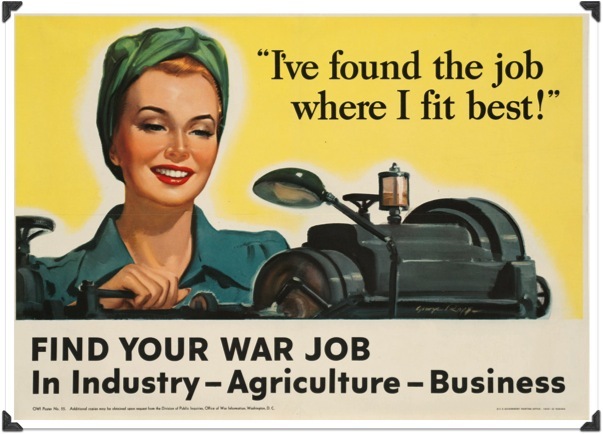 After the war was a hard transition time for women too. Giving back their meaningful jobs – and their own paychecks – to their men and going back to the traditional job of being “just women” again. It had to be, but giving up that short-lived independence and importance was not easy for all women. Maybe it was the early stirring of the later women’s movement? 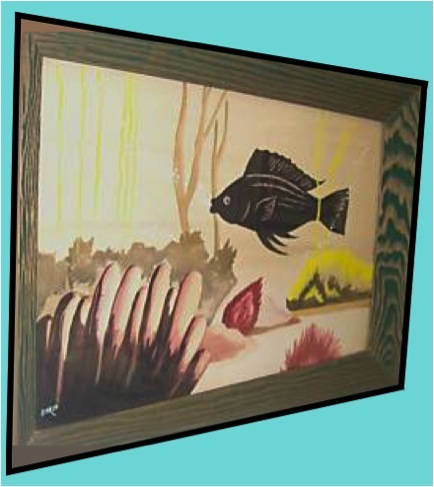 We have a lot to thank our foremother’s for. Thanks for the comment Vic. Actually my grandmother was hiding in the subways of England during WWII because of the German Blitzkrieg. She has told me of how things were for her during that time and how they dealt with the constant fear of death from above. It has been an educational trip and a good chance to hear stories I have never heard. I wanted to blog about this because it is a very important part of what made and makes this country so great. It had slipped my mind you wrote about your grama being a “war bride”. What a horrible and chilling time that had to have been. Thank God we, as Americans on American soil, did not have to live that horror. She was a brave and strong young woman because she survived that terror but also because she made the adjustment that some war brides weren’t able to do. Love or no, it was a hard adjustment.